askIITians Hazaribagh Center started in 2012. It is located at a prime location at Hazaribagh – right next to the Hindustan Times office. It is one of the leading and most success-oriented branches we have. Making its presence felt in just two years of its operation, askIITians Hazaribagh Center has current enrollment of 290 students. The single-minded focus and dedication of our staff at our Hazaribagh centre led to 8 selections in JEE Main and 2 selections in JEE Advanced right in the first year of facilitating our online tutoring programs. This result-oriented teaching has led to a change in mindset of people in the city and the migration of students after Class 10 and Class 12 to popular IIT JEE coaching hubs like Kota and Delhi has seen a sharp decline. "I am a middle-class person with a limited income. My son has always been bright and used to top his class throughout his school studies.His teachers used to tell me to send him to Kota or Delhi. However, I could not afford spending Rs 1 to 2 lakh needed for one-year IIT JEE coaching program and then some on his lodging and food. 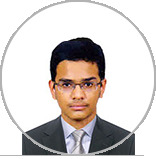 AskIITians offered excellent support to my child and now he is doing B.Tech in Chemical Engineering from IIT Kanpur." Our students at Hazaribagh and their students have been extremely gracious in their praise and feedbacks. Some even said they are ‘lucky’ to have such a world-class centre with a global brand for Engineering and Medical Preparation right in their city. All of them were happy about the quality of education we offered them and the results we gave.